The Finals of the 2016 Jensen Foundation Vocal Competition will be held Saturday, May 21st at 1 PM at Engelman Recital Hall, Baruch Performing Arts Center, 55 Lexington Avenue, New York. The event is free and open to the public, and the winners will be named at the conclusion of the event. Susan Shiplett Ashbaker is the General Director of Tri-Cities Opera and served previously as Director of Artistic and Music Administration with the Opera Company of Philadelphia. Since 2005 she has been Artistic Advisor and a Master Vocal Coach for The CoOPERAtive Program at Westminster Choir College. Peter Carwell is the Executive Director of the Richard Tucker Music Foundation where he oversees the Foundation’s Auditions and Awards Program, as well as the artistic programming of the Foundation’s annual Richard Tucker Gala, numerous community concerts, and master classes. James Morris is world famous for his performances in opera, concert, recital, and recording. 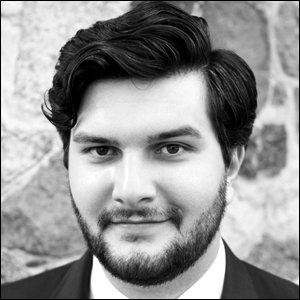 In the 2015-16 season, Mr. Morris starred at the Metropolitan Opera as Scarpia in Tosca, as Timur in Turandot, and as Lodovico in the new production of Otello. Recent concert performances have included Hans Sachs’s monologues from Die Meistersinger von Nürnberg with the Boston Symphony Orchestra and in Rossini’s rarely-heard Moïse et Pharaon in the title role of Moïse with the Collegiate Chorale at Carnegie Hall. Fritz and Lavinia Jensen were lifelong supporters of the arts who benefited many musicians and musical organizations during their lives. The Jensen Foundation is dedicated to continuing their philanthropic vision of support for the musical arts. The centerpiece of the Foundation’s efforts, the annual Jensen Foundation Vocal Competition, supports young artists pursuing a career in opera. Since the Competition’s inception in 2000, and including this year’s award winners, 115 singers have received more than $535,000 in support.